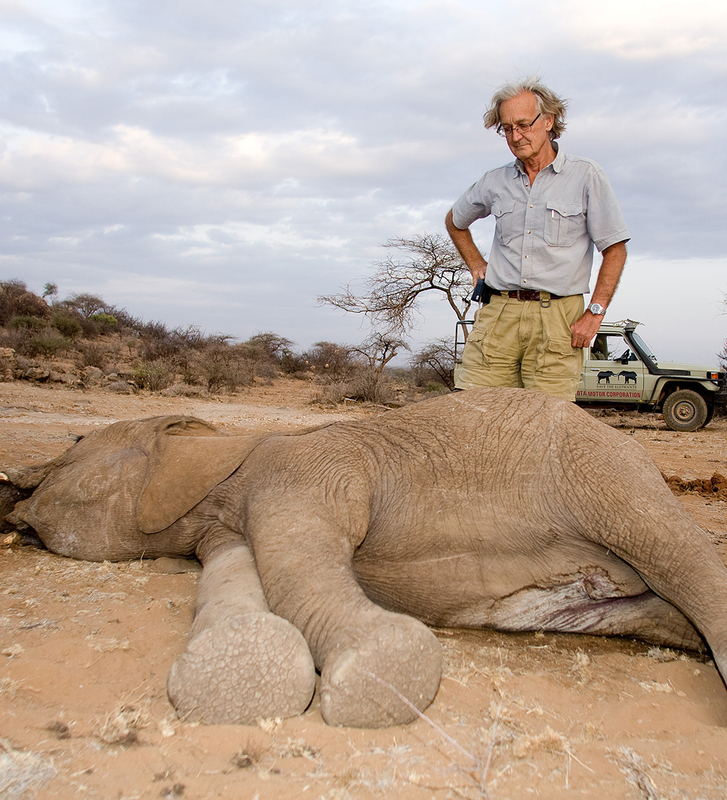 Save the Elephants was founded in 1993 by Iain Douglas-Hamilton. A research & conservation organisation, Save the Elephants (STE) is a UK-registered charity headquartered in Nairobi with its principal research station in Samburu National Reserve in northern Kenya. STE’s mission is to secure a future for elephants and sustain the beauty and ecological integrity of the places they live, to promote man’s delight in their intelligence and the diversity of their world, and to develop a tolerant relationship between the two species. The elephants of Samburu are now one of the best-studied elephant populations in the world, with detailed histories of almost 1,000 individuals and their interactions over the last 18 years. Data from their behaviour and population dynamics have allowed scientists to understand the impacts of the ivory poaching crisis on populations across Africa. Pioneers in radio and GPS tracking of elephants, STE works to understand ecosystems from an elephant’s perspective. Real-time information on their movements is proving a powerful tool to protect herds from poachers, and long-term data allows us to influence landscape planning to take elephants into account. With four members of staff on the African Elephant Specialist Group, we aspire to be a leading source of information on the status of elephants across Africa. The ivory poaching crisis is a continental issue that cannot be solved by any one organisation – or even nation – on its own. In 2013 STE launched the Elephant Crisis Fund in partnership with the Wildlife Conservation Network to fuel the growing coalition of organisations that are working to stop the killing, stop the trafficking and end the demand for ivory. As of December 2017, the ECF had funded 169 projects and 57 organizations in 31 different countries across Africa and Asia, with 100% of funds raised reaching the field. Save the Elephants is proud of the wide diversity of talents that have come together to fight for a future for elephants under our banner. From the founding of the organisation more than twenty years ago it has always combined world-leading scientific minds with the unrivalled experience and deep, intuitive knowledge of African cultures that have long co-existed with elephants. Elephants live big lives and no single organisation can hope to secure a future for them on its own. STE is proud to be at the heart of a growing coalition united to save elephants. Save the Elephants relies on donations from individuals and foundations to fund its work to secure a future for elephants. Our conservation activities are built on a continued pioneering research into the ecology and behaviour of elephants and on deep, data-driven insights into the ivory trade and its impacts on elephant populations.